Accueil » February 2019 - Ecomesure launches its online store eshop.ecomesure! February 2019 - Ecomesure launches its online store eshop.ecomesure! Ecomesure has launched its new global e-commerce website, which reflects the Ecomesure brand’s image, values and products. The new website is fully responsive and designed for an easy browsing experience tailored to users’ needs: begin by discovering our Ecomesure connected stations and then configure a specific product. As users browse the website, they can learn more about the stations’ onboard technology, discover the many configuration options, be part of the sustainable development efforts being made through Ecomesure’s commitment to eco-responsibility and purchase a product directly. Users may now configure their air quality monitoring stations directly online according to their projects by selecting the pollutants to be measured, the connection methods to use and the internet service for accessing data. The way our integrated solution operates is very clear and easy to understand, from physically measuring pollutants to processing and managing data on the web platform and generating a quote in real time. This new tool offers customers a premium plus service, which enables them to save time. Telephone supports is available to our users at any time from the configuration process to the purchase stage. Users can also contact us by email, by clicking on the “Contact us” contact form. To ensure that our customers obtain the best results from Ecomesure products, we provide accessories for specific requirements. These can be added to the shopping basket or purchased separately. As Ecomesure cares about the environment, it recycles electronic components and repackages its sensors’ cartridges. We provide our customers with the opportunity to recycle their connected stations’ sensor cartridges in order to improve maintenance operations and enhance their commitment as an ecologically responsible corporate citizen. Customers can indicate on a form whether they wish to change their cartridges and take part in the recycling program. 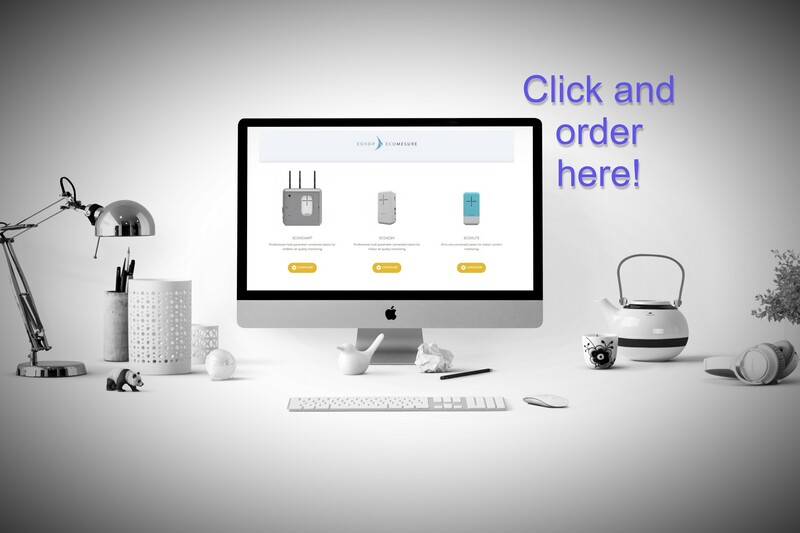 At the point of confirming their order, customers may request setting-up assistance to help set their connected stations and advice as to how to use our web services. We are therefore offering our customers the use of an e-commerce website, to help them with their purchases and speed up their orders, simply and easily. For ease and speed of purchasing, visit our online store at https://eshop.ecomesure.com/index.php! Discover the new online store now eshop.ecomesure.com!